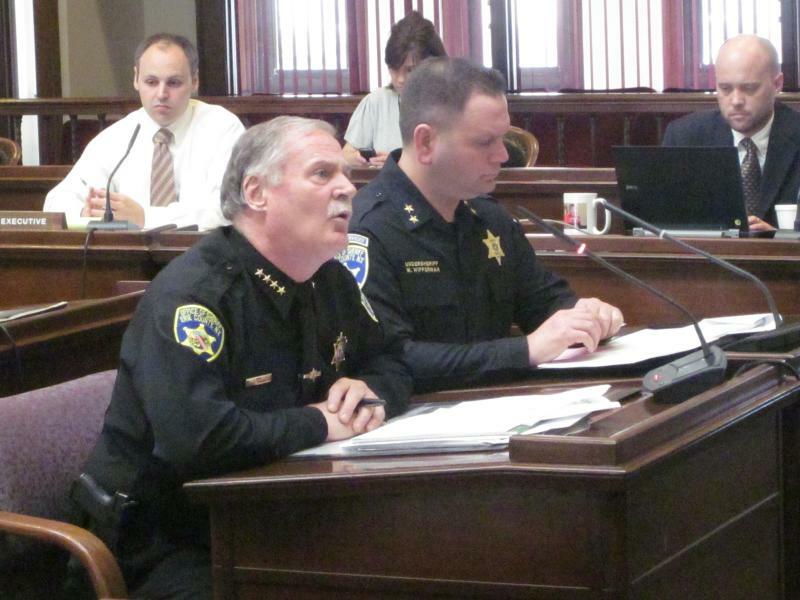 The mistaken release of a man charged with attempted murder landed Erie County Sheriff Timothy Howard in the hot seat in County Hall. The Legislature's Public Safety Committee questioned Howard for nearly an hour about the wrongful release of 32-year-old Awet Gebreyesus who was ordered held without bail after allegedly stabbing his wife in the entrance of the Amherst Street Wegmans in January. The recent run of nice weather has bumped up the construction schedule in LaSalle Park by a month. The project includes rebuilding the park road along I-190, adding new streetlights, and a new parking lot, complete with a tree, shrub and grass 'rain garden' to filter runoff. Mayor Byron Brown says the early start means work should wrap up before the early July opening of Centennial Pool, which underwent a $3 million renovation in 2010. 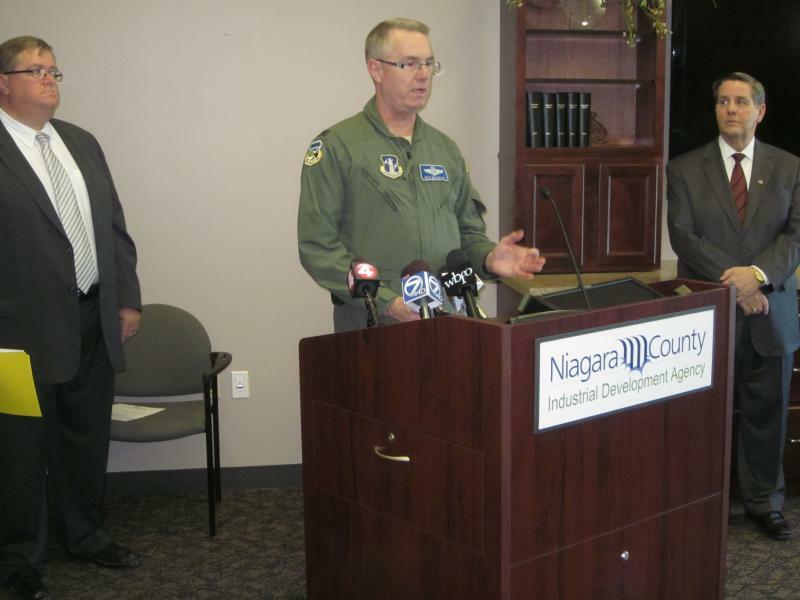 The Niagara Military Affairs Council and Niagara Chamber of Commerce today held an early morning breakfast briefing about the future of the Niagara Falls Air Reserve Station. Federal budget cuts are jeopardizing units and jobs at the Falls base. So far, no new decisions have been issued and leaders of various units say for now, its business as usual. 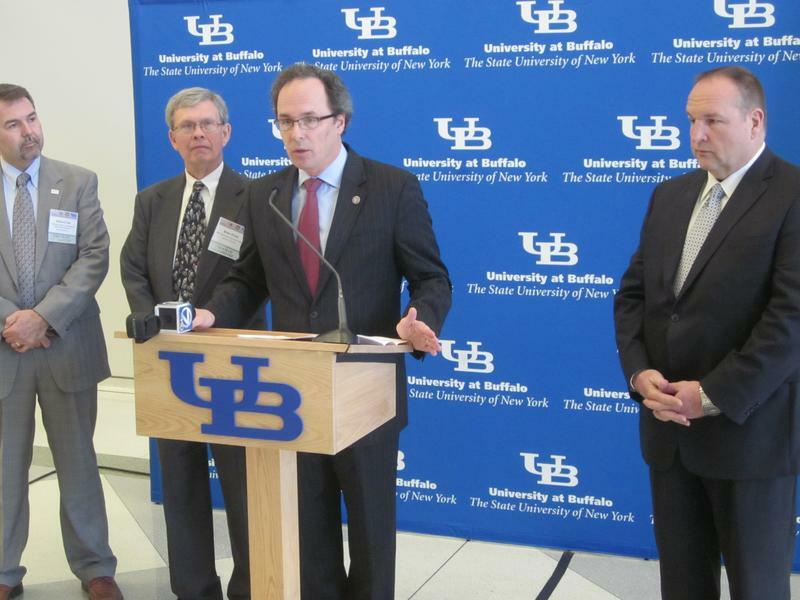 A day-long conference on bullying on the UB North Campus attracted nearly 800 people Wednesday. The 9th Annual Safe Schools Initiative Seminar was sponsored in part by the Secret Service and the office of U.S. Attorney William Hochul. He said statistics indicate most students will be victimized at some point during elementary school and 35% of 'chronic bullies' end up in prison. More than 175 local businesses looking to rebuild Western New York turned out for an Economic Action Summit on UB's North Campus this morning. The forum included eight workshops covering small business, infrastructure and commerce, agriculture and energy, and education. The session was sponsored by Rep.Kathy Hochul. An emergency meeting in Common Council Chambers over the possible loss of funding for Buffalo's neediest schools drew more than a hundred people last night. Unless the school district reaches a deal with its unions on a teacher evaluation plan that Albany will accept by next week, $9 million will be lost. The deadline for having a teacher evaluation system in place is coming up next week. Along with the millions at stake, Buffalo could also lose out on an additional $50 million in aid next year unless there's an agreement. 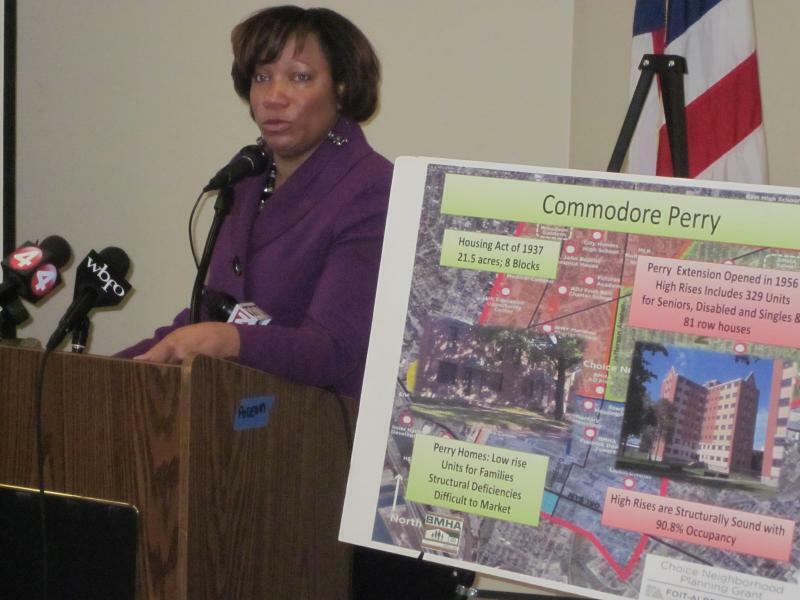 An effort is underway to remake and revitalize the Commodore Perry Public Housing neighborhood downtown. To qualify for federal funding the Buffalo Municipal Housing Authority has one year to come up with a plan. If all goes according to plan, the distressed Perry Projects, just off Michigan Avenue near I-190 downtown, will be transformed into the Perry Choice Neighborhood. The Buffalo School Board could be voting soon on laying off dozens of employees after leaders of the teacher's union approved keeping an attendance clause in the district's teacher evaluation agreement. Albany insists chronically absent students must count. The dispute is holding up $9 million in funding for six of Buffalo's low-achieving schools. A new fight is underway to save hundreds of jobs at Niagara County's largest employer. 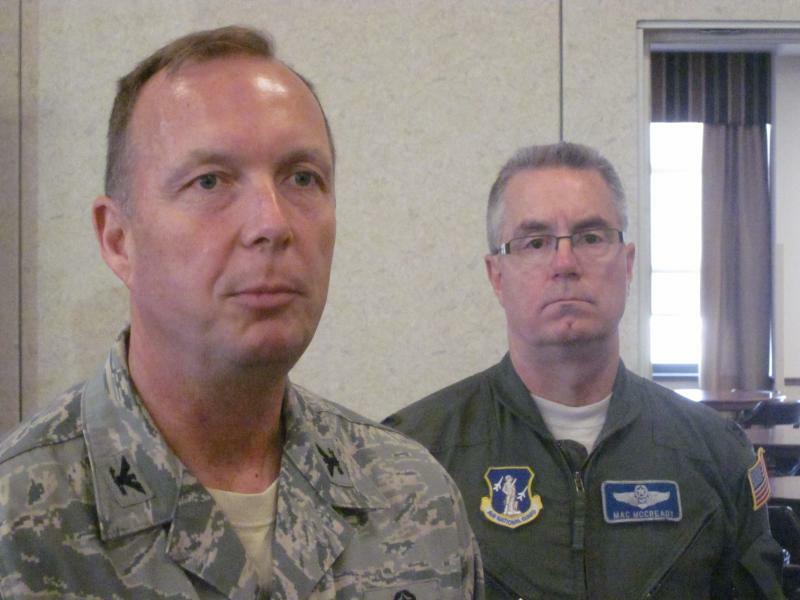 Niagara Falls Military Affairs Council Vice Chairman John Cooper says the Pentagon's downsizing plan is "one of the most serious threats to the existence of the 107th Airlift Wing to date." If Congress goes along, 845 positions, including those of nearly 600 part-time Air National Guardsmen would be eliminated. It is part of the Defense Department's plan to save nearly $500 billion over the next decade. With more than $9 million at risk, Buffalo's Board of Education is appealing to the teachers union for help. 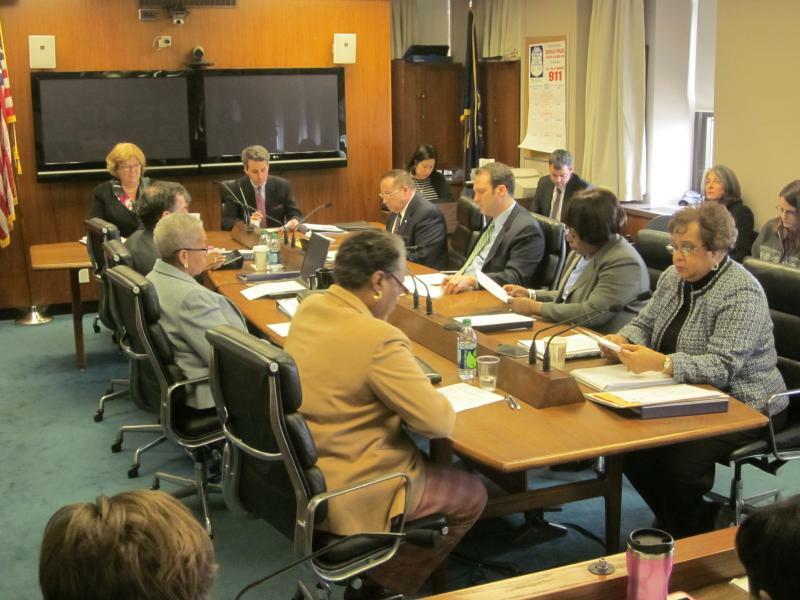 At a special meeting today, the School Board unanimously approved a resolution asking the Buffalo Teachers Federation Council of Delegates to reconsider removing the student attendance clause from its teacher evaluation plan. Interim Superintendent Amber Dixon says state education officials won't accept a plan that excludes students with excessive absences. The Buffalo Bills' top receiver is staying put. At Ralph Wilson Stadium this morning, the Bills announced that wide receiver Stevie Johnson has signed a long-term contract extension. Johnson led the team in receiving for the second straight year in 2011 with 76 receptions. He became the first player in franchise history to record 1,000 yards in consecutive seasons. Johnson told reporters he got his start with the Bills and he wanted to remain loyal to the team because the team has been loyal to him. Poverty continues to be a big problem in the City of Buffalo - and Friday morning local scholars, advocates and government leaders will be learning about the latest strategies for fighting it. The third annual Buffalo Poverty Research Workshop at the Olmsted Center is sponsored by the Homeless Alliance of Western New York, the University at Buffalo, the Service Learning Coalition and the Partnership for the Public Good. The state agency in charge of redeveloping Buffalo's waterfront is in the market for a new leader. 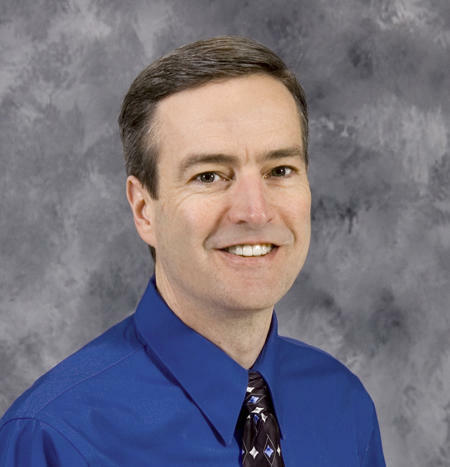 Erie Canal Harbor Development Corporation Board Chairman Jordan Levy says he resigned his post to avoid any potential conflict of interest. A company Levy controls is going to be applying for a state grant to help entreprenuers. Levy said he would have been happy to stay on, but he couldn't risk his private sector business negatively impacting all the progress being made at Canalside. Governor Andrew Cuomo must name a new chair for the Harbor Corporation. The 'push is on' to get NEXUS cards in the hands of more U.S and Canadian travelers. Nearly three dozen community groups, business organizations and local attractions in Western New York and Southern Ontario are joining forces to promote and encourage enrollment in the NEXUS Program. Peace Bridge Authority Communications Director Matt Davison points out it's the fastest way to cross the border. Reducing congestion on the region's international bridges is another benefit of NEXUS. The wallet-size cards cost $50.00 and are good for five-years.